Savvy Mumma: 2 holidays + renovations + debt reduction = $40,000+ in 6 months!! 2 holidays + renovations + debt reduction = $40,000+ in 6 months!! Usually I discuss finances on my other blog, but this is slightly different. Last night I worked out what we want to do, what we have planned and what we need to do. The total of all these things shocked me. I knew it would be expensive, I just did not expect it to be the price of a new car. One of the first things on the list, well my husbands list, is Hawaii. My sister in law, L, my husbands older sister will be getting married in Maui in October, well that's the plan. Why Hawaii when we all live in Australia? L, my husband and the brother in between them were born there. They have lots of extended family there, such as their 80 year old grandmother. 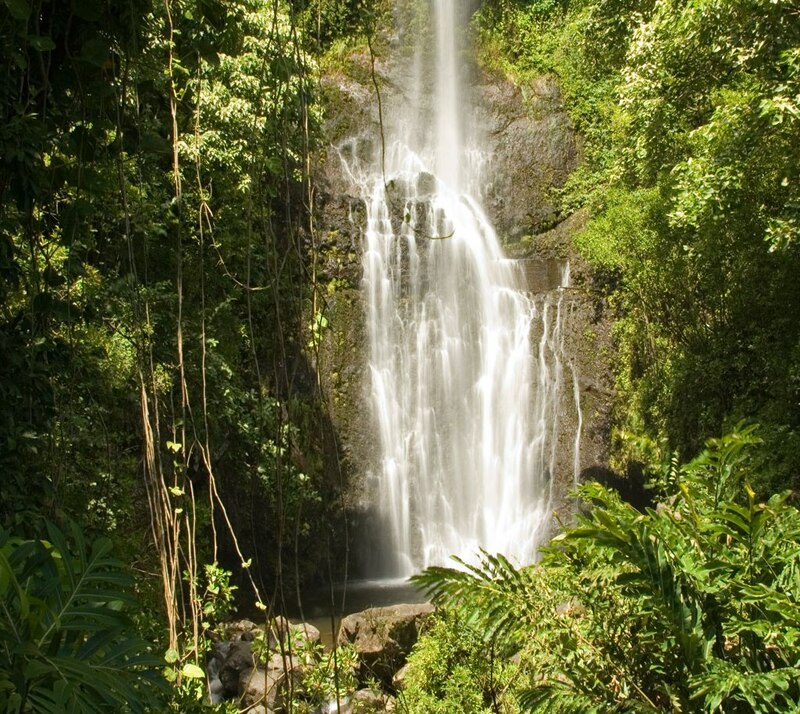 My husband and I went in 2005 and got to do the beautiful trip the road to Hana (see above pic of one of the many waterfalls on this trip.) I can honestly say it was the most awe-inspiring, beautiful drive I have ever taken. The Great Ocean Road would come close, but as much as I love the ocean and giant rocks in it, I love tropical stuff more. Anyway, flights, accommodation, passports, car hire, food etc... vary greatly depending on when L decides to set the date. It could cost between $8,000 - $15,000. So we are hoping she books soon, so we can work things out. Initially I suggested my husband go alone, but he is adamant he wants us all to go, which is fair enough. I mean I want us to go to Tassie for my side, so fairs fair. 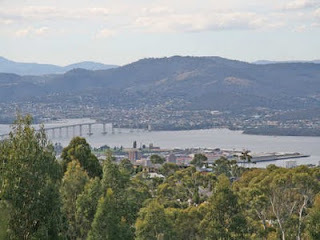 I lived on Tolmans Hill, next to Mount Wellington, over looking Hobart. It was awesome. I grew up right near Kingston Beach and I loved that. I love the beach. Anyway, the reason I want to go down is my grandparents are not well so I'd really like to visit, plus there are a few babies I haven't met and another one which will be here by the time we go down. Yes, both these things are more wants than needs, but I would rather stretch myself financially to do these things than live in regret for not doing them. So to do all this I am going to have to get creative, which is why I thought I would blog about it here instead of Aspiring Millionaire. I'll be trying to make do with what we have, be crafty again and sew or make things we need instead of buying them, making gifts, menu plan and basically try adn do a no spend challenge in order to save as much as we can. Add to that my husband is taking in over time when they offer it and I have a few things coming up which will make us money, so I am sure we can do it. We just have to put our minds to it.